Associate Professor Erato Hatzisavva of the Athens School of Fine Arts curates an innovative and contemporary multimedia approach to some of the most famous masterpieces of European art: works which deal with the Goddess of beauty, love, fertility and sacred harlotry, Aphrodite. At the same time, 15 Cyprio graduates of the Athens School of Fine Arts offer, with E. Hatzisavva’s help, their own renderings of Aphrodite through the Homeric works, curated by the art historian Leda Kazantzaki. The exhibition is accompanied by a series of events focused on the Goddess of Beauty and the rich cultural dimension of her myth. Sotiris Karagiorgis has written music for prose and poetry on Aphrodite, edited by Professor Giorgos Georgis of Neapolis University of Pafos, which will be presented through screenings, recitals and discussions. 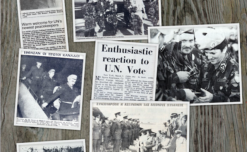 After spending many years in Cyprus as members of the United Nations’ missions, veterans from Aarhus Denmark are visiting Pafos for the European Capital of Culture and bringing with them their memories and stories from their days in Cyprus. A photography exhibition about the presence and actions of the UN in times of conflict, will tell the story of the violent separation of the two communities. During the opening of the exhibition, Danish Peacekeepers, who served on the island right after its independence in 1960, will share their special and intense experience of those times with the audience. With the collaboration of the Consul of Cyprus in Aarhus and the Embassy of Cyprus in Denmark. An audiovisual performance combining contemporary music by the composer Christina Athinodorou with animation by Charalambos Margaritis. 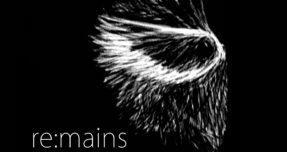 Featuring the newly established Ensemble Cyclamen, with the soprano Margarita Elia, the concert includes the first performances of the work “Re:Mains” for Multi-Pianist that will be performed by Annini Tsiouti, as well as the première of the Song Cycle Ángel Inmenso”. Supported by the Municipality of Geroskipou and the Youth Council of the Municipality of Pafos. As part of the Travelling Stage programme. 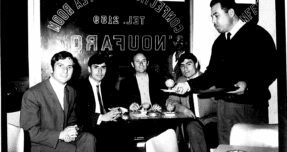 The “PeriPoleos” programme of Pafos2017 makes a stop in Kennedy Square, recalling the ‘sweet’ memories of the coffee shops and patisseries at the Artymation Square, as it was formally called. Recollections of the confectionery and the bakeries of Pafos will bring back the memories of the flavours associated with the “Ktima” which are on the verge of disappearance.